Marketing a Private Practice in the Summer is Done Very Differently! Summertime can be a tricky time for many physical therapy clinics. Most practices see a decrease in patient volume (not to mention more no-shows and cancellations). If you want to maintain a good healthy level of business during summer, it’s important to remember the word “FUN”. Understanding the basic habits and thinking patterns of your customers, patients and referral sources can lead to a much better summer for your practice. 1. People are not thinking about physical therapy or doctor appointments. Summer fever gets everyone! We want to soak up the sun, enjoy the blue skies, and splash at the beach, or simply walk our dogs. The last thing any one wants to do, or be, is stuck in a doctor’s (or therapist’s) office when it’s gorgeous outside. So what are some things you can do to increase your new patient volume in the summer? Read more to find out. 2. Physicians go on hiatus. Since many families go on summer vacation (due to kids being home from school), physicians also go on vacation. You’ll see a big drop in surgeries and referrals from physicians. Hopefully you are not dependent on physicians or the upcoming summer season is going to be a bear for you. Start learning more about correctly marketing a private practice at an IndeFree course near you. 3. Pain is less during summer. Arthritis is better, inflammation is better, and pain is better during the hot season. Since 90% of the cases in most practices are pain related, summer is not a good season for business in the typical private practice. Not only will you see less patients but your no-shows and cancellations may increase unless you increase the perceived value of your sessions. Learn more on how to eliminate no-shows and cancellations at an IndeFree course near you. So what can you do to keep business high and even potentially your best season ever?! Here are a couple of proven strategies that have been known to work well. 1. Get out of your office. Yes, get out of your office during summer! Start a group class at the park. It can be on any topic (such as stretching, strengthening, or simple learning, etc.). But make sure to give it a name such as “Great Abs in Less Than 10-Min a Day”, “Yoga for the Therapy Patient”, “Sports Enhancement: How to Throw Faster, Better, Easier in 3 Classes”. Invite people. Invite as many people as you can. Post on community boards such as Craigslist, Meetup.com, etc. If you really want to make it an event I recommend advertising on Facebook and your local news website and newspaper. Direct mailers work well also. Have fun. Don’t expect to have hundreds of people. Have fun even if only 5 show up. Remember, people are looking for fun things to do so give them something! Make sure to convert them into therapy. Your objective is to build your therapy clientele. Have a brochure or flyer stating the benefits of therapy. Make sure to hand them out or make them available. Physical therapy marketing can be fun and exciting. It’s definitely more than just waiting for doctors to refer. 2. Offer health and fitness screenings. Many people spend more time in malls during summer (esp. due to the air conditioning). Offering health and fitness screenings at the mall is a great idea. Screenings such as blood pressure, body-fat composition, flexibility, strength, posture, etc. and chair massages can attract a lot of attention. Remember to have your services packaged well with flyers and/or brochures to maximize sales. 3. Run a contest or tournament. This may or may not take more planning and thought depending on the scale of contest or tournament you are thinking of. 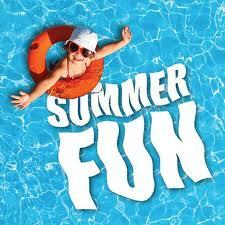 But summer is a great time for outdoor events such as golf tournaments, softball tournaments, fun game contests, etc. It does not have to be a huge event. It does not have to be expensive. But you do have to invite, invite, invite! Get your staff involved. Have fun! Physical therapy marketing can be a lot of fun when done correctly. No matter what you are thinking of doing this summer … DO SOMETHING! Start planning now! Start your physical therapy marketing action plan for summer now. Don’t just sit around waiting for physicians to refer. Do something. Take advantage of this summer season. It may become your best season ever. Even if it doesn’t at least you’ll have a lot of fun!